The V2 requires a micro SD memory card with a Class 10 / UHS-I or higher speed rating. The camera supports cards up to 256GB. It’s also important that the memory card you choose is built for dash cam use, which is why we specifically recommend cards which have that designation. Please check our latest card recommendations for help choosing a card. At dual-channel Full HD (1080p + 1080p) resolution, you can get approximately 7 hours of recordings to a 64GB micro SD card before it begins looping over the oldest unlocked files. To view videos on your mobile device, you can use the Wi-Fi Connect feature. To play back your videos on the camera, you can use the Playback Mode. To view videos on your computer or mobile device, remove the memory card with your recordings from the camera, then access them on your device using a card reader. You can also use the included mini-USB computer cable to connect your camera directly to your computer to read the files off the memory card. For more details, please check out the section of the manual titled “Playback Mode”. 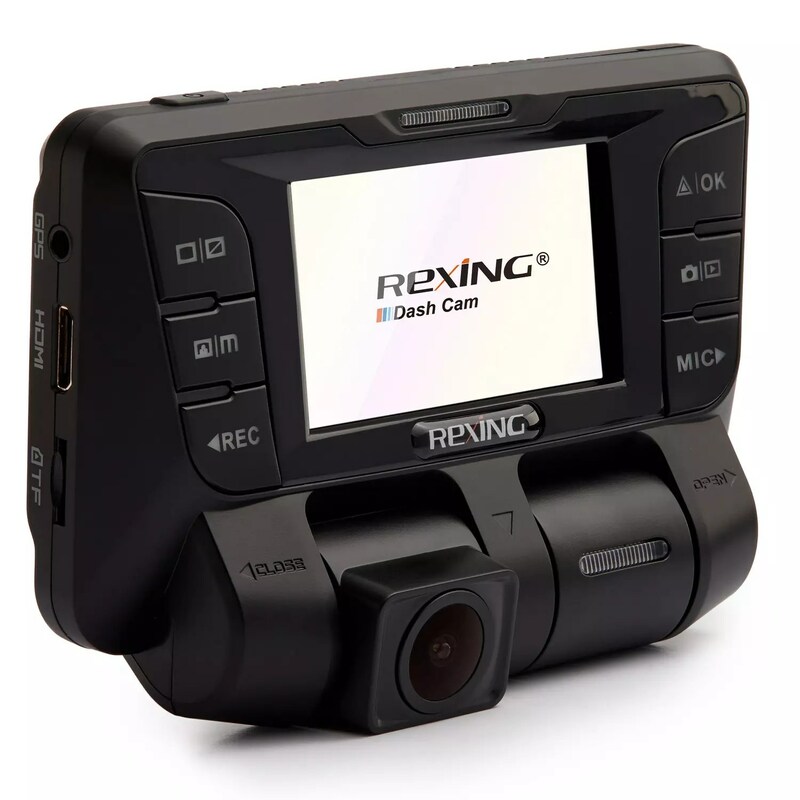 To record while your car is parked, you need to make sure the camera is wired to a source that provides power even while the car engine is off. While some cars have a cigarette lighter port that always provides power, other cars require you to use a hardwire kit to connect to an always-on fuse. Check out the hardwire kit here. The package includes two mounting options. The first is a 3M adhesive pad and a plastic mount piece. The 3M pad is used to stick the mount to the windshield. The camera can then slide down into the mount piece to be secured to the windshield, and can be easily removed from the mount as needed. The second option is the suction cup mount, which allows for greater range of movement of the unit and can be removed easily from the windshield if needed. How does the interior camera record? Video from both the interior and exterior cameras is saved to the same location on the memory card. The V2 is intended to operate in temperatures up to 140°F.